Located on the spot where Edwin L. Drake first struck oil on August 27, 1859, the Drake Well Museum (Admission fee required) tells the story of the birth of the modern oil industry. 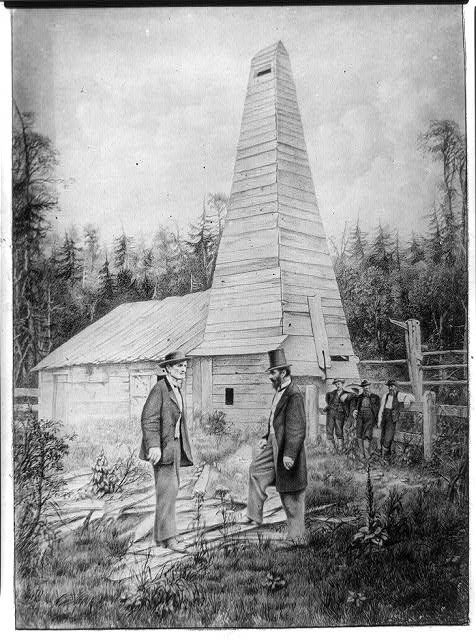 The reconstructed Drake Well demonstrates the first practical use of salt drilling techniques for the extraction of petroleum. The museum preserves a range of archival documents, artifacts, and machinery. “Drake Well Museum,” NW PA Heritage, accessed April 26, 2019, http://nwpaheritage.org/items/show/35.